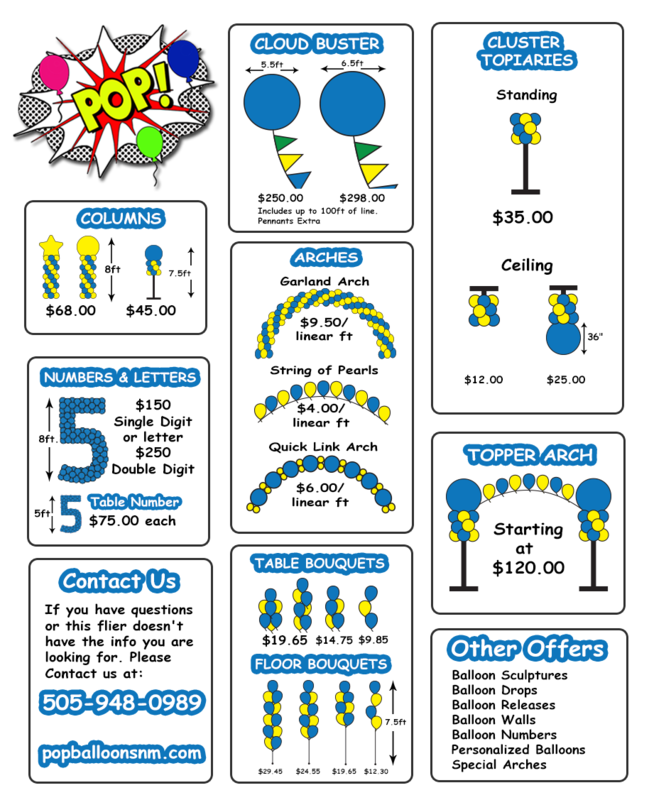 Make your next event POP! Please give us as many details about your event as possible. Whether a corporate event, wedding, or grand opening we will do our best to meet your needs.